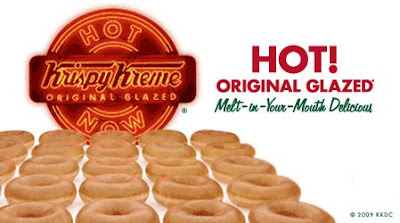 SPECTREOUTREACH.com: KRISPY KREME COMING SOON HERE? KRISPY KREME COMING SOON HERE? Today,I was surfing the jenjobs websites where suddenly I noticed something that attracted my attention " BERJAYA KRISPY KREME DOUGHNUTS SDN. BHD." for postion "XXXX" . Woot? those this mean Kirspy Kreme is coming here to Malaysia.Stay Tuned guys and girls for more info cuz Kripsy Kreme Donut is invading Kuala Lumpur soon!